Linearization or fast web viewing is a great way to make PDF files more easily accessible over the internet. Non-linearized PDFs need to be downloaded entirely before they can be opened and this can translate into long waiting times for users. 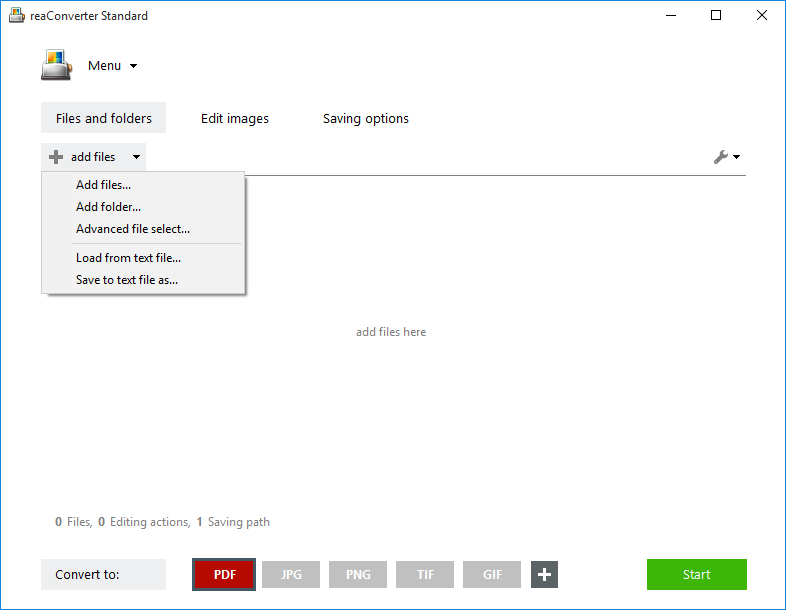 reaConverter’s latest edition supports conversion into linearized PDF in no more than a few clicks. Add one or more files you intend to convert. They can be non-linearized PDFs, Microsoft Word files or other image formats. 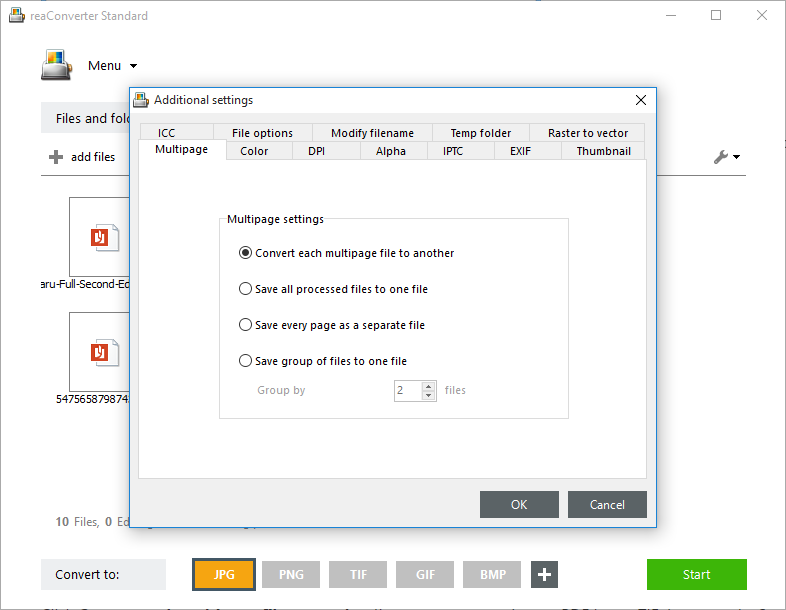 You can add them one by one, add entire folders or automatically add batches of files according to size and/or extension from a folder, using the Advanced file select option. You can also reach this window via a shortcut. Place the pointer over the PDF button, from the Convert to area of reaConverter’s main window. Then click the Settings icon from its upper left corner. In this window, tick the box near Create linearized PDF. 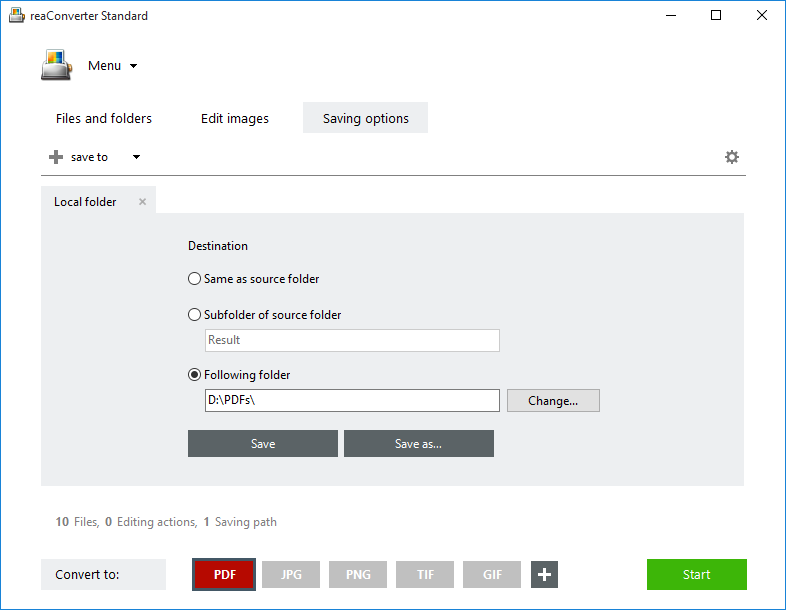 Here you can choose to save all processed files into one PDF document or create separate PDFs for each input file. 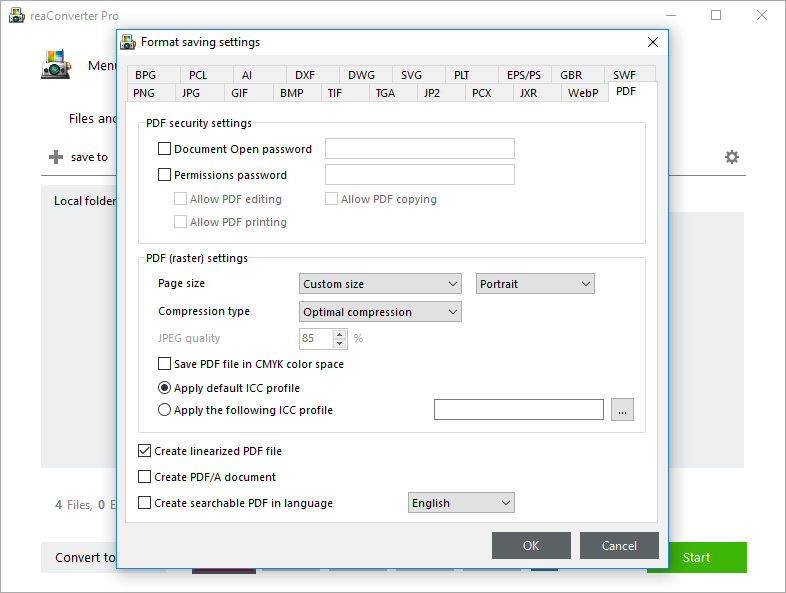 Go to Saving options and pick the destination for the output PDFs. Save them in the source folder, a subfolder or another customized location. Finally, don’t forget to make sure you clicked the PDF button from the Convert to area. Advanced users can linearized PDF files using command line interface or DLL in manual, automated or scheduled mode. You are welcome to contact our technical support when you have any questions about reaConverter.